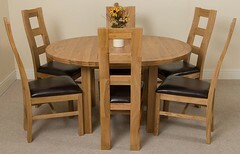 Our solid oak furniture is, on the whole, handmade by experienced craftsmen. All our furniture is 100% solid hardwood, which has been kiln dried and seasoned to ensure it lasts a lifetime (our drawers also have dovetail joints). Inferior wood veneers, like chipboard and MDF (these may cause health issues) are not permitted in our inventory.We want our furniture to last a lifetime and we also want our customer’s lives to be as long and healthy as possible! 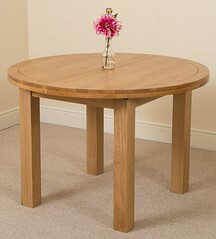 At Oak Furniture King we see happy customers as the lifeblood of our business. 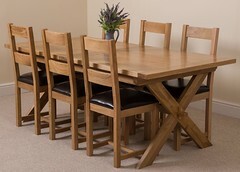 We like to make our customers content with their oak purchase; to feel their new furniture adds to the quality of their home life and surroundings. 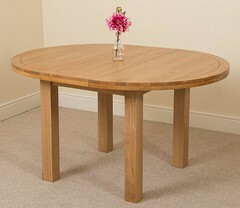 That’s why we’re keen to keep in touch with our customers via our newsletters with special offers and chances to win our furniture in our competitions.Our Oak Furniture King customer reviews, reflect our commitment and dedication to customer service and quality that is the essence of our business. Reviews state: “I would just like to say a huge thank you for the excellent customer service and quality of the product I ordered” C Walker and: “Really pleased with service, they gave us a choice of dates for delivery, then kept us up to date with where our order was. Delivery and driver rang to say they were on the way and what time to expect it. The furniture is excellent quality and beautiful. I’m very pleased,” A Bricknell.Why is the cost of the furniture so low? 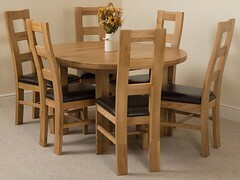 At Oak Furniture King, because we’re an online store, we’re able to cut out the middle man and pass those savings directly onto our customers with unbeatable prices! 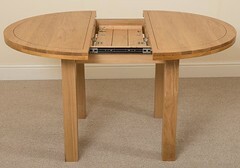 As our furniture is sourced directly, customers pay less but without losing out on quality and workmanship!